Community, caring and connections — that is what Temple Beth Sholom is all about. There are many paths to participation in congregational life at Temple Beth Sholom including Shabbat and Holiday services, Religious and Hebrew School, Preschool, Adult Education Programs, Sisterhood, Brotherhood, Social Action, Special Needs Network, Youth Groups and more. We are an extended family that comes together to share meaningful moments during life-cycle events, holidays and and special programs. 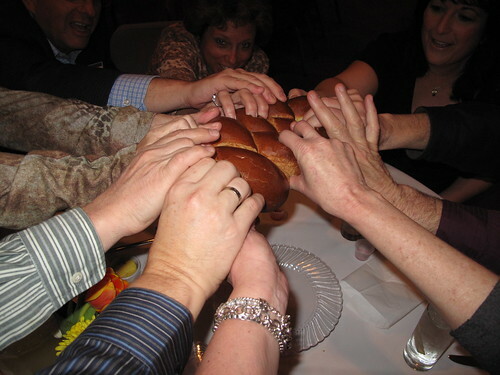 Being an active part of our Temple Beth Sholom community will enrich and deepen your connection to Judaism. Whether you are just beginning to look for a congregation to call home, visiting from out of town, or are ready to become one of the newest members of our temple family, at Temple Beth Sholom you will find a community of wonderful people where everyone is always welcome.